Scripture Union is an international mission movement that was founded over 140 years ago. We work in over 120 countries making God’s good news known to children, young people and families and encouraging people of all ages to meet God daily through the Bible and prayer. Our goal: that all may come to a personal faith in our Lord Jesus Christ, grow in Christian maturity and become both committed church members and servants of a world in need. 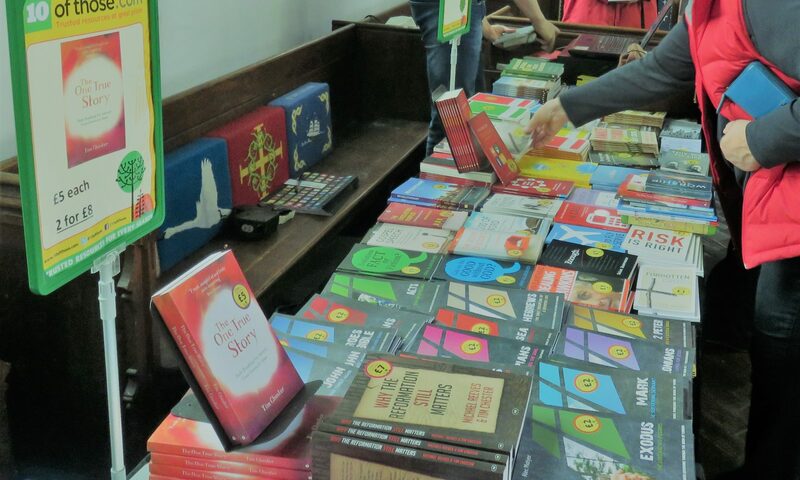 We are delighted to announce that ‘10 of those’ will be providing a full range of books and other resources at Word on the Wash. Their vision as a company is ‘to help local churches and Christian organisations by providing quality Christian resources at prices they can afford’. ‘We buy our stock in bulk to get better prices and we pass that onto you, the customer. We are also passionate about getting more resources out there and used, so instead of making lots of money on each item we discount as much as we can’.